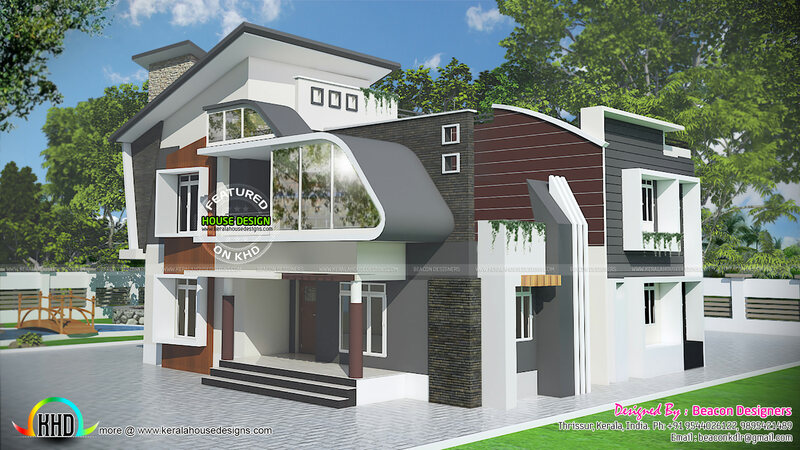 4 bedroom modern contemporary style house in an area of 3172 Square Feet (295 Square Meter) (352 Square yards). Design provided by Beacon Designers & Engineers, Thrissur, Kerala. Ground floor area : 1740 Sq. Ft.
First floor : 1432 Sq. Ft.
Total area : 3172 Sq. Ft.
0 comments on "Unique contemporary 4 bedroom house"